The foundation of School of Dentistry was initiated by an official letter by Rector Prof.Dr. Ihsan Dogramaci sent to the Deanship of Faculty of Medicine on 22.11.1963. 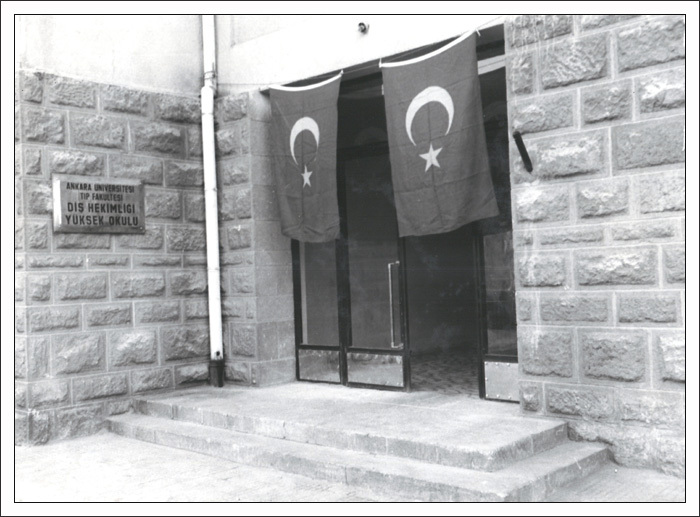 Official foundation of Ankara University, School of Dentistry was eventuated on 14.12.1963 after the publication of by-laws in the official gazette. First dental clinics were constructed within the Faculty of Medicine and the first announcement for accepting students was published on 10.11.1963. 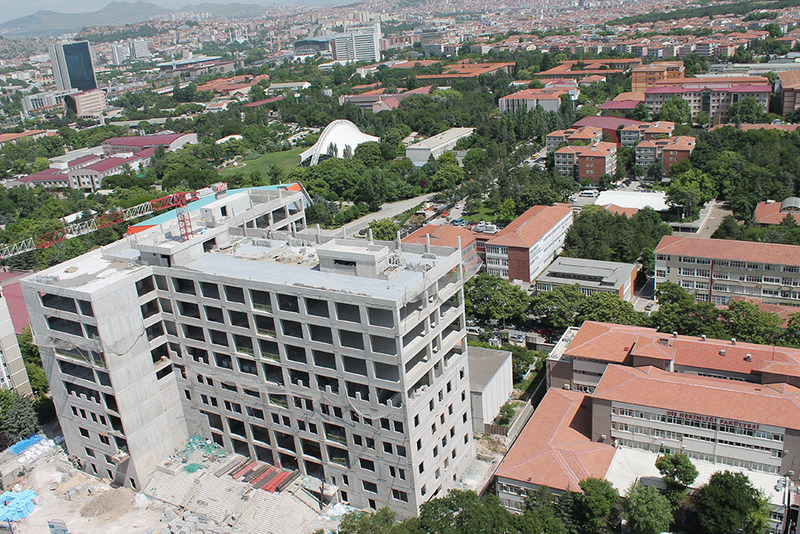 Initially, a total of 21 students were registered, 10 of them previously won Hacettepe University entrance exam but did not apply and 11 of them were from Military School. 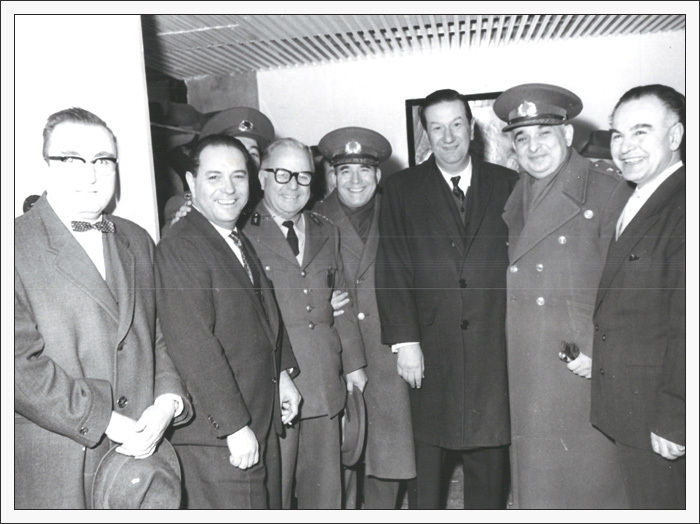 Ankara University Faculty of Medicine School of Dentistry was inaugurated on 29.01.1964 by an opening ceremony with the attendance of Ankara University Rector Prof.Dr. Ihsan Dogramaci, Faculty of Medicine Dean Prof.Dr. Behic Onul, School of Dentistry Director Prof.Dr. Cihat Borcbakan and National Education Minister Ibrahim Okten. 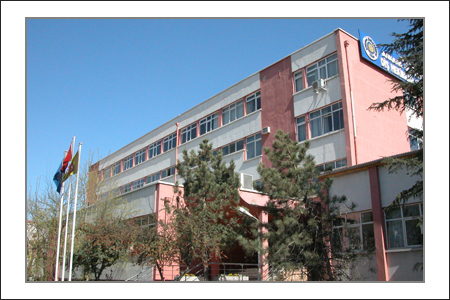 First administrative building including basic medical sciences department was in Sihhiye Saglik Street (1974) and then a second building was hired in Ziya Gokalp boulevard in Kizilay where dental clinics were constructed. On February 1977 the Faculty was transferred to a new building which is still in use currently in Besevler.